Our number one priority is your safety and security. We are here to help. Click here to request a free survey. Are you protected? 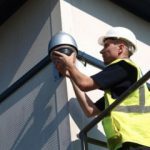 Surveillance has become increasingly more important in recent years. Home office stats show that 64% of businesses had suffered from some sort of crime last year and on average crime cost businesses £8000 each year. Peace of mind? 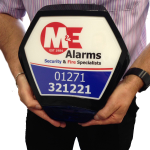 M&E Alarms are committed to giving you the security and peace of mind you need to carry on with your day to day lives. 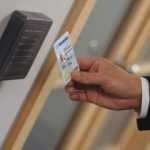 Access control enables you as a home or business owner to control not only who has entry to your building but also to restricted areas inside. I write to thank you for the excellent work and dedicated professionalism of the two employees who completed the installation of an alarm here in an exemplary fashion. Following my meeting with you at your offices I recommended you to my landlord; now I am able to do so with total conviction to others. 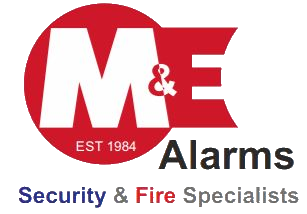 Many thanks for the excellent service in fitting our fire alarm system. I am particularly grateful that you completed the work in such short notice. Not only was your quotation the best value of all those submitted for consideration, but your engineer was both pleasant and helpful, working around our business hours and causing minimal disturbance to our customers. I would be happy to recommend your company to any prospective clients. Call us on 01271 321221 or complete the form below.